A thriving community is the foundation of a happy home. We encourage everybody to make their home their own and join in the community life of Little Brook House by sharing mealtimes, social events and relaxation time together. That is not to say that there isn’t the opportunity to have personal space and time to yourself – far from it . But we make sure that people are not feeling isolated and that everybody has the opportunity to socialise and do something they enjoy in a community setting. Our accommodation is not segregated by medical condition as we do not believe this benefits our residents and, in some cases, can actually be detrimental to their well being. We all meet on a monthly basis where the residents and the management and care teams discuss future events we might hold, home improvements to be made, menu choices for the coming month and many other items of interest to the wider community. Taking part in deciding in what happens in the home helps make for a happy environment. 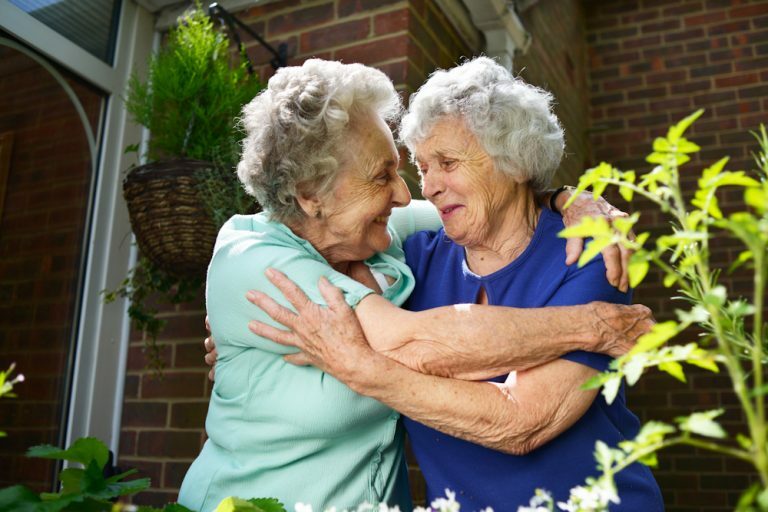 All our guests have a direct input into how they live their lives at Little Brook House; we simply provide them with a safe and supported environment to enable that to happen. Our designated Events Coordinator arranges a wide range of activities both in and out of the home. These might be organised group events, such as trips out or an entertainment of some kind. It might be an ‘ad hoc’, individual outing for somebody – either because they have asked for one or perhaps we feel that they might benefit from a little time out of the house. We pride ourselves on maintaining a sensitivity to the needs and concerns of our residents and work hard to make sure our guests lead happy and fulfilling lives. We post a lot of our events on our social media pages to keep families up to date on our adventures (there is a link to our FaceBook site on the News page). We also keep personal diaries with residents of the activities they have taken part in so that they can look back on these and share with their family and friends. We encourage people to pursue their own interests on either an individual basis or in small groups. The garden is popular with our keen gardeners but we also run craft sessions, painting groups, knitting and sewing circles to name but a few. Many residents revisit hobbies that they may have pursued in the past. Some take up new pursuits that having that extra little bit of support around now make accessible. Families are often surprised by the new interests that our guests take up and the vitality they develop in their new home. We pride ourselves in Little Brook House being a happy, vibrant home.